Business to business (B2B) influencer marketing is the latest motto and it’s for good reason. In the last couple of years alone, B2B influencer marketing has expanded its value and usefulness, and that’s why it should be a part of every good business leadership strategy. Are you up to date with this speeding trend and making god use of it within your company? Most entrepreneurs wrongly view influencer marketers as prominent persons recommending a service or product. Influencer marketing spreads way beyond simple recommendations and involves constant relationships between influencer marketers and companies. Who would not fall in love with all these results? Influencer marketing is meant to assist you in accomplishing just that. This is especially true in the Business to Business section, where companies shoot at customers with their ads, along with products and services. Influencer marketers can help you to break through the gossip (regarding your brand) and give a clearer image of your business and its products, and services. How can you make sure that you only hire the right influencer marketers? And then how can you engage them in well-organized programs? 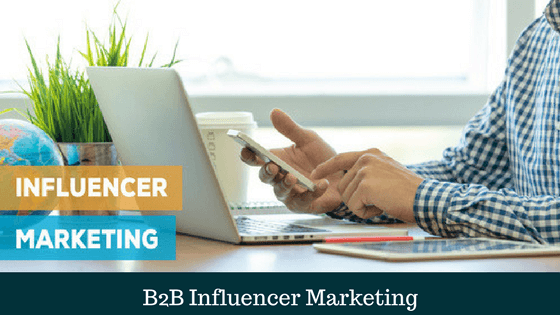 Below are several important approaches you can implement on a practical influencer marketing program so as to make it a success. Let us face it; social media platforms are no longer just “fun to have”; particularly once it comes to influencer marketers. In case you would like to include influencer marketing into your digital marketing campaign, you’ll need to be an active social media user. Social media platforms are the main means of engagement and conversations for influencer marketers so you should link with them to attract them. That means keeping your social media profiles updated. This way, Influencers will most likely check-out your media profiles so as to learn more about your brand. 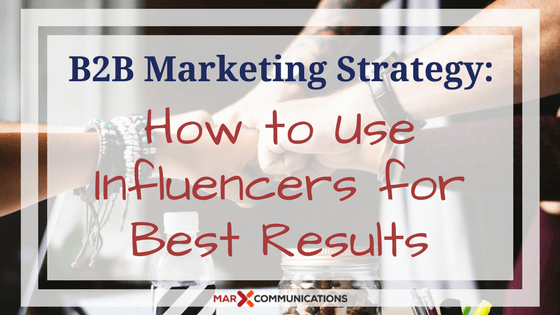 To truly achieve success in influencer marketing campaigns, you should choose your influencer marketers wisely. To begin with, identify the exact goals you would like to achieve in your influencer marketing campaign program. This could be everything from reaching more quality sales leads to improving brand awareness. Secondly, think of on the type of content and focus you would prefer to develop with your influencer marketer. How does your target audience like to consume their information? Is it through blog posts? Podcasts? Or videos? Even more, do you desire to focus on creating white papers and eBooks for persons approaching the end of their purchasing journey? All this info will help you branch down which influencer marketers within your firm’s industry would be the ideal fit for your digital marketing campaign. Evaluate what the influencer marketers have said and advised. This will assist you as you form relations with them because you’ll prove to them that you appreciate and acknowledge the work that they do. Influencer marketers are not created the same. Despite the fact that this sounds so obvious, most entrepreneurs approach influencers as if they are all equal. Every influencer will have his/her own work interests and styles that set him/her apart from the rest. It’s imperative that you thoroughly research an influencer marketer before approaching them and proposing a partnership. At least, that personal relation might define your future working relationship. Influencer marketers are not just tools that you can pull out every time you need them and just ignore them once you are done with them. In case you would like to make use of the full power of influencer marketers, you need to nurture ongoing relationships. Most companies create teams whose main purpose is to encourage influencer relationships. The individuals of these teams are accountable for keeping track of what influencer marketers do and how they’re used within public Relations and marketing departments. Frankly speaking, influencer marketing will not just fix all your marketing problems. You need to stay committed to the long-term objective before you get to see real results. In case you would really like influencer marketing to bring about a change in your firm, you should take your time and come up with a solid influencer marketing program. The goals and objectives of that program need to be, “to look for mutually beneficial and long-term relationships.” Note, however, that “mutually beneficial relationships” does not always have to mean big payments. You can make the relation beneficial for the influencer marketer by recommending them to other entrepreneurs and sharing their content on social media platforms. Before engaging an influencer marketer, stop and think of extra approaches you can use to help them out, not just the other way round. As with every other program, you’ll want some evidence proving that everything is working as it should. Before starting a campaign, set numerous standards that you would love to monitor. This could be anything from social shares, click-through, or other parameters that could finally translate into success. This could also possibly be something even less tangible compared to social shares and views. You could choose to monitor your brand’s image; are there positive discussions surrounding your brand on traditional media and social media platforms? Is your co-created content getting used as a resource by others in your industry? You can use this data and twist future influencer marketing initiatives as needed. Let us now take a brief look at a few Business to Business examples of how you can use influencer marketing in countless roles and boost up your company and your thought leadership strategy. This might sound unnecessary; since we are speaking of influencer marketing here; but there are still lots of different options. Traditionally, marketers used influencers only as brand campaigners for products promotions, even though there are many distinct ways they can be used. For example, you might choose to partner with an influencer marketer to create content (such as white papers or blog posts) or to promote and organizes an upcoming event. You could also make use of various influencer marketers for opinions, insights, and ideas on industry related matters, or receive some feedback on how you can improve your influencer marketing campaign. Down the line, at some point, an influencer’s role could be promoted to that of a partner, advisory board member, or even an employee. Do not you limit yourself by only using influencers in a single way. Related : Outsourcing Sales and Marketing Services to An Agency? The competition to hire the right talent out here in the marketplace is higher than ever. Star candidates normally execute their research before considering any position, and influencer marketers can play a major role in their decision making procedure. To reach this target audience, you can make use of an influencer in association with your talent procurement program. Content focusing on career advice in connection with your company can improve your company’s appeal. This technique could also minimize your recruitment costs in the long run. Related : Why Hire Outsourced Recruiting Services Agency? There are distinct ways influencer marketers can be used from the viewpoint of public relations. For instance, you can closely partner with expert influencers in your industry and create content that can be featured in trade publications. Your influencer’s name beside your brand is assured to boost your brand's credibility and improve brand awareness. Almost every firm nowadays recognizes the significance of community outreach, and the differences it can make. Regardless of the cause you’re passionate about, you might be able to involve an influencer and improve your success chances. You can use influencer marketers to create content, or directly spread out the word regarding your cause. Including influencer marketers in all your social causes can add an incredible force to the reach and credibility of your entire project. If you are looking for ​Digital Marketing Services Click Here To Read More.